It’s almost done! 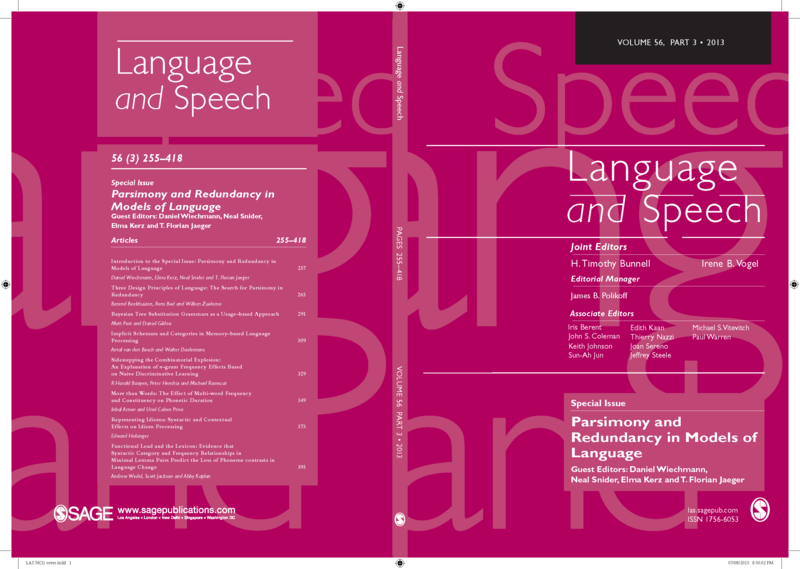 After about two years of work, our Special Issue on Parsimony and Redundancy in Models of Language (Wiechmann, Kerz, Snider & Jaeger 2013) is about to come out in Language and Speech, Vol 56(3). 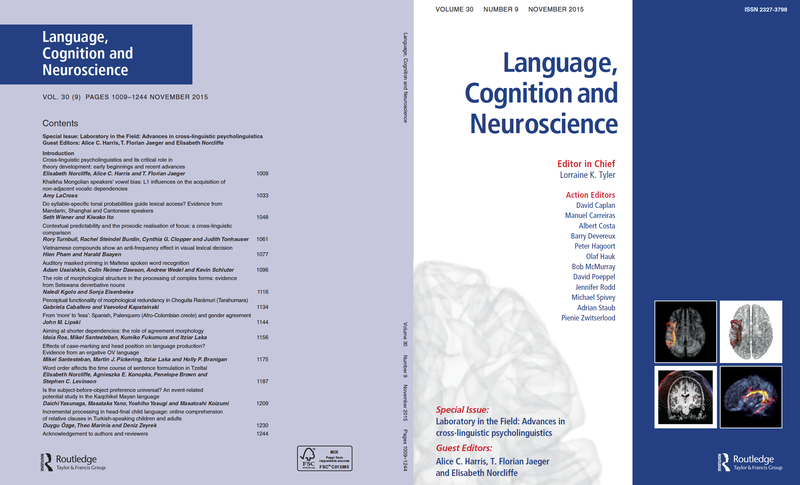 The brunt of the editorial work in putting this together was mastered by Daniel Wiechman, who just started his new position at the University of Amsterdam, and Elma Kerz, in the Department of Anglistik at the University of Aachen. This entry was posted in articles, Papers, Presentations, etc., workshop and tagged analogical reasoning, Bayesian, frequency, idioms, implicit schemata, language change, linguistic representations, linguistic theory, linguistics, memory-based language processing, mergers, multi-word sequences, naive discriminative learning, parsimony, psycholinguistics, redundancy, Tree substitution grammars, usage-based models. This entry was posted in workshop and tagged Bayesian, chunks, computational linguistics, construction grammar, cool talks, exemplar based theories, item-based learning, LSA, psycholinguistics, redundancy, storage parsimony, Tree substitution grammars, usage based theories.